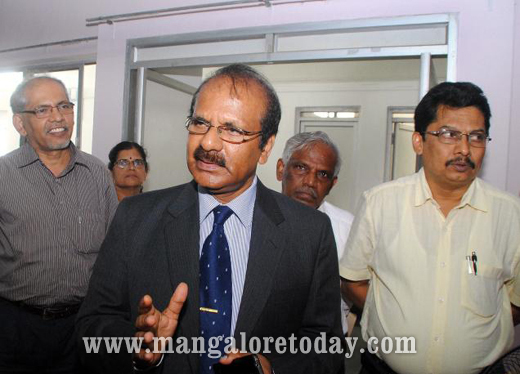 Mangalore, Aug 06, 2014: Chairing the academic council meeting, Mangalore University Vice Chancellor Prof K Byrappa said that the Higher Education Council has asked the university to discuss the recommendations of an expert committee constituted by the Council on the revamping undergraduate courses and submit a feedback report within a month; he said that the recommendations have to be discussed in the Academic council and Boards of Studies. The deans of faculties will discuss in length before taking a final decision on the same. The expert committee headed by Kuvempu University former vice chancellor Prof Chidananda Gowda has recommended a four-year UG course. It has recommended that on completing the first, second, third and fourth years, students could be given diploma, advanced diploma, degree and degree with honours, respectively. The scheme also enables students exit the course at different stages. It also provides a lateral entry to the PG courses. The committee has said that the students should be taught only two subjects of their choice in depth till the third year. In the fourth year, they should be allowed to choose any one of those two subjects for a bachelor’s degree with honours. The method of having fixed combinations (of three subjects) should be done away with and students should be allowed to select any two subjects of their choice from a list of subjects offered in the college. In the first three years students should be allowed to study allied subjects of their choice. The allied subjects should be skill-based, job-oriented and related to the two subjects taught. Students should enjoy the freedom of selecting the allied subjects. The list of courses of allied subjects should be prepared by the faculty concerned in each university. The courses will help the students to develop their personalities with a balanced intellectual, emotional, social, potentials. It will also provide an opportunity to empower the youth with values of character, citizenship, rights and duty consciousness. Foundation courses like human rights, environmental education, Indian constitution, computer literacy, customer service, soft skills for employability, English for international communication and entrepreneurship will be taught compulsorily for the students, said the recommendations. The Council members said that the issue is sensitive after Delhi University row over introducing four year degree courses. Hence, it has to be discussed with the stakeholders before it is considered for introduction.